We have a huge range of plants all year round! This time of year it’s all about flowers! The nursery is absolutely overstocked with flowering plants at the moment! We FINALLY have Wollemi Pines back in stock! The Wollemi Pine is one of the world’s oldest and rarest plants dating back to the time of the dinosaurs. With less than 100 adult trees known to exist in the wild, the Wollemi Pine is now the focus of extensive research to safeguard its survival. Assist in the conservation effort by growing your own Wollemi Pine and becoming part of one of the most dramatic comebacks in natural history! Daphne. One of the most beautiful, fragrant, stunning shrubs available all year round and perfect for a shady spot! C omplete elegance! 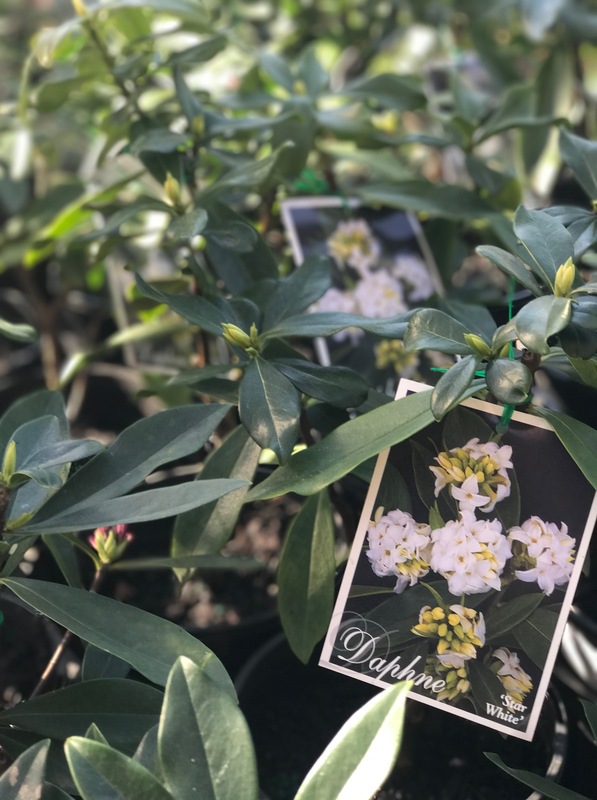 We stock Daphne Odora Pink, Daphne Odora White and the new Eternal Fragrance Daphne which is sun tolerant! A perfect addition to any garden! Daphne has a maximuum height of about 1 metre, and a 1 metre spread, although the Eternal Fragrance is perfect for a sunny spot, the Odora prefers more shade. Michelia Figo, Port Wine Magnolia, another one of our favourites! 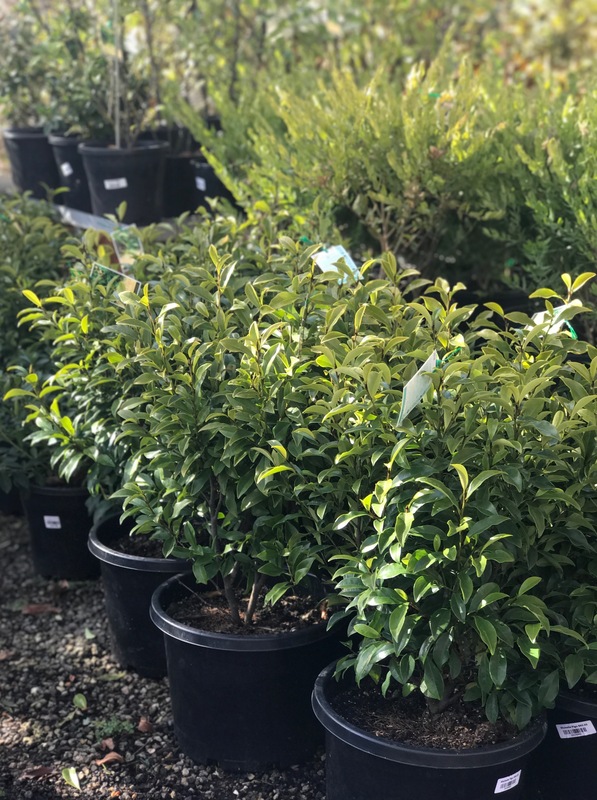 Evergreen shrub with beautiful fragrant flowers in spring, in stock all year round! Perfect plant for a low fragrant hedge, or even a stand alone pot plant! With a maximum height and width of around 2 metres, it makes them a fantastically versatile plant which is easy to keep under control! 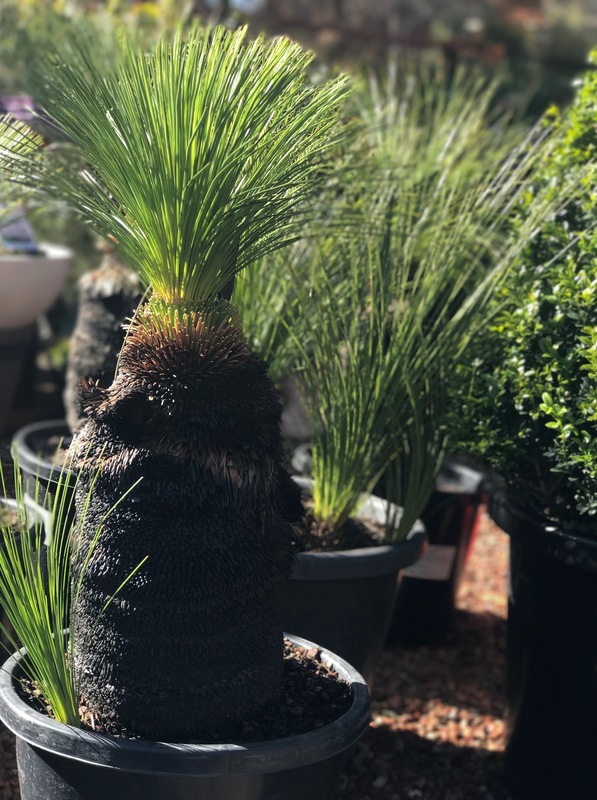 Xanthorrhoea Johnsonii, or Grass Tree, a wonderful addition to any native garden! With a 10mm per year growth rate, these plants are super slow but well worth the wait! We do keep these in stock all year round, starting from around $60.00 up to $1500.00!